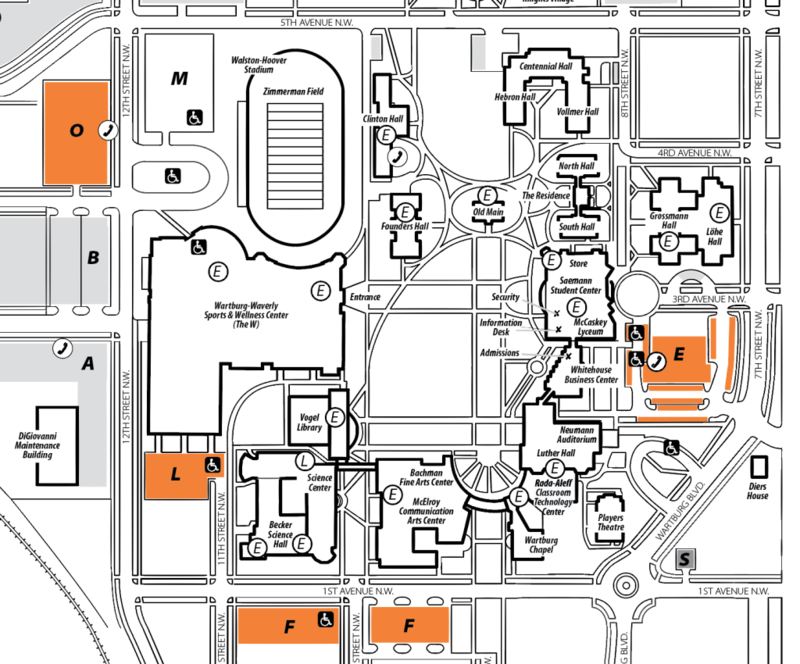 Parking is permitted in all lots during Commencement weekend. O Lot – Overflow lot for M Lot. Sports & Wellness Center members and visitor parking allowed. Located on the southwest intersection of 12th Street NW and 5th Avenue NW. No resident student parking and no overnight parking without a special permit from Campus Security.